Well I finally graduated (BS) and I have started my project, and since I know how you all like pics I will be adding them here as things get completed. This is a complete strip down and rebuild (hopefully not the engine) of a 1974 CB550 that I want to run with in a Cafe-esq style. Plan to use the stock tank and reupholster the seat giving it some shape, make my own side covers, single 7" headlight, no fenders, chrome spoke wheels, black engine, small blinkers, custom tail light and plate mount with either straight or drag bars, 4 into 1 Mac exhaust. Color theme is black and red. The frame is at the powder coater and should be done in two weeks, though I can't decide if it should be red or black, What do ya'll think? Last edited by Genesis on Fri Jul 17, 2009 11:38 pm, edited 1 time in total. 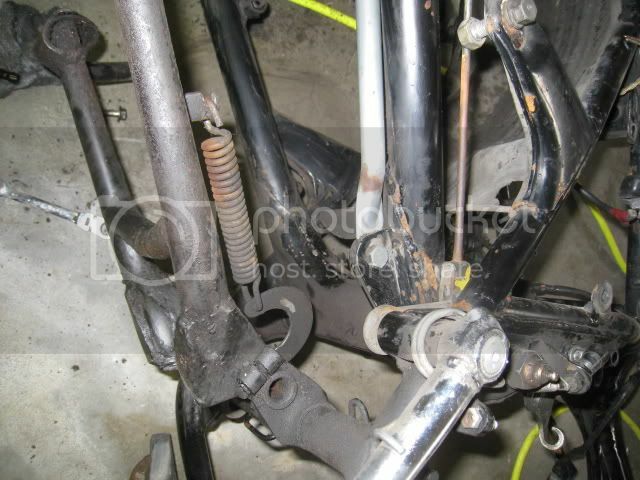 Did you shave any of the excess stuff off the frame before sending it to powdercoat? Hope you post pictures of your progess. 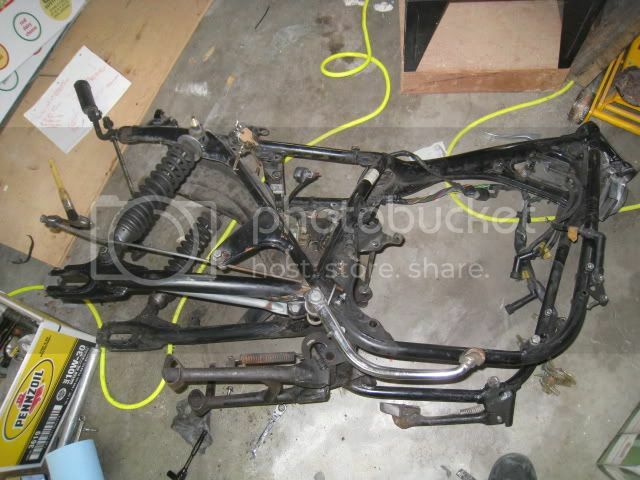 If I had money Id be starting a cb750 project aswell. I had a 79' xs650 project that I never got to finish. I ended up selling it to a buddy because it was in my dads garage and he was bitchin at me to get rid of it... I wish I would have never sold it though. I loved that bike! haha thats awsome, i want to get a CB750 one day and cafe it out. Just an update I had to switch powdercoaters, but the new guy thinks he can get to it this weekend or early next week, ! Also misc parts have arrived, new bearings and a SS hex head screw set. 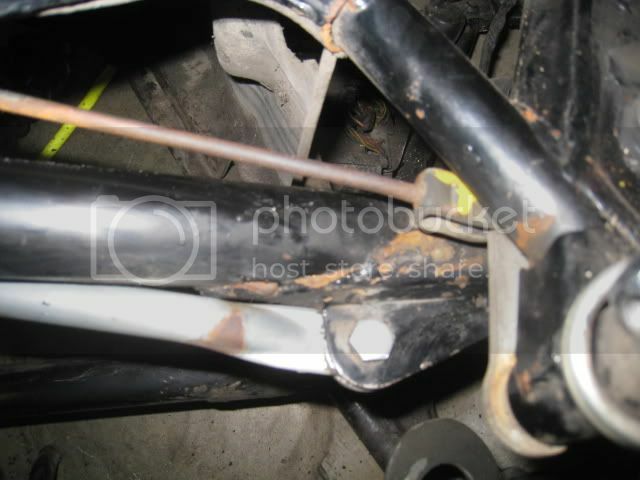 Finally got the frame back and it looks good I'll get some pics up soon, Now I need to clean the wheels, replace the bearings, have the rotor turned and ported, and get new tires, then put it all together and then I'll have a nice rolling frame!